#1.1 16 Best Gun Safes for the Money Saving Features! 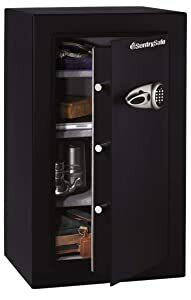 The term ‘gun safe’ can easily be associated with an expensive steel box that protects firearms and all your valuables. Many people choose to keep their belonging somewhere stored in the house, while others tend to hide their guns under pillows. Most of them do not fathom the danger associated with not having a safe for firearm. Not only do you have to worry about it being stolen but, if you have small children, there is always the concern about them picking up your firearm and causing some form of serious accident. 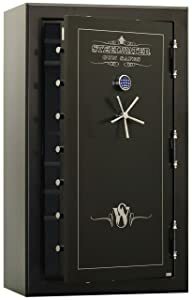 So I have been scouring from the most reputed brands and decided to show you the list of best gun safes under $200/300/500/1000/1500/2000 & so many options for the money saving features and ultimate reviews that will definitely provide you with a ton of value. It is easy to take gun safes for granted and just assume that they are extremely expensive. Not all gun safes are the same and some buyers tend to think that the most expensive gun safes are always the best. This is not true in all cases and sometimes you might let a great deal that is full of value slip by without taking advantage of it. Should you buy a portable or large gun safe? Should you choose a floor or wall mounted gun safe for my home? What locking mechanism will offer you the fastest access? Why are the hinges such an important feature of the safe? What is the real difference when it comes to prices? Are cheaper safes made from weaker material to cover the cost? Top Gun Safes on the Market Right Now! To help you in choosing the right gun safe for yourself, this review has been broken down to provide the best options in specific kinds of safe. This not only includes the size of the safes, relevant to the kind of firearm you need to store, but also in relation to the cost you are able to afford. For those looking for the perfect safe to guard their long rifles while also giving protection from fire, this is definitely the safer you. This safe is built with high grade steel, providing up to 120 minutes of protection during a fire, far above what the vast majority of safes would offer. It is designed to not only give you the perfect size to be able to store longer firearms, but is ideal for securing important documents, gems, and other belongings you need to ensure are kept safe. Two different options are available for this safe, the heavy duty, which allows for one hour of fire protection, and the Xtreme duty, which can handle fire for up to 120 minutes. Regardless of which version you choose, the safe is a composite of three different layers, built to control external heat that could damage your firearms or documents. Despite being a heavy duty safe, it is still an attractive one. The safe uses decorative beveled edges and provides 1 ½ inches of thickness making the perfect fire barrier. Included are 1.5 inch diameter solid steel locking bolts, securely locking the bolts in place making it virtually impossible to remove the door. The hinges are internal, making it pry proof as well. It is also designed to be both punch and drill proof, and is reinforced to protect it from breaking or warping. The safe comes with a free high-grade UL power supply and has three different adapters and two different charging ports allowing you to keep the safe charged in an array of power options. The dimensions of the safe are 72” x 42” x 28” and come with a keypad to disable the safe’s lock. Six small shelves are included inside and the door is organized so that you can store your pistol or other important items. This is truly a fantastic safe and well worth the price. For those looking for a smaller sized safe that is both fire and waterproof, this is a magnificent option. This 1.23 ft.³ safe is perfect for storing firearms, important documents and media, as well as jewelry, passports, and any other valuable items. This fireproof safe is built to withstand up to 1700°F for one hours period of time to protect your irreplaceable items. It is also waterproof up to 24 hours and can handle water up to 8 inches deep above the safe. That gives you the maximum protection you need to be able to guard items should you have a sudden flood or other emergency. To access the safe, it provides a fantastic keypad that you are able to program the five digit code. This enables you to be able to get the highest level of security so that only those you want to have access to the safe are able to do so. However, for those instances where the battery has expired or you cannot remember the code, two emergency keys are provided as well which enable you to be able to gain access in an emergency. Inside, the safe comes with a lot of storage space. There are two adjustable shelves that are included, and two trays that are included inside the door that enable you to get quick access to documents, jewelry, and firearms. Also included on the door are five clips that enable you to hold keys or other small items. A lot of space is included in the safer you to store what you need. Four AA alkaline batteries are included, and should provide from 8 to 10 years of use. This will give you all of what you need to be able to use your safer years to come. As technology has advanced, people are looking to use that technology to make life a lot simpler for them. This is where security has combined with technology to create this fantastic safe, which enables you to be able to walk it in place using Bluetooth technology from your Android or iOS phone. This safe uses the old man in technology, not only providing you with biometric and facial recognition software, but also giving you the ability to connect into your safe using an app your phone. This not only allows you to lock and secure items within the safe, but to ensure that the availability of others to access that safe is limited in scope.Plus, you will love the fact that it will notify you anytime someone gets into your safe. Instead of using a traditional hinge and door opening, this safe uses a briefcase style opening, which helps to keep the safe significantly secure. The locking mechanisms bar it from being able to slide, plus is extremely difficult to be able to pry the door off of this safe. This is why it has rapidly become one of the most liked and highly promoted forms of safe. 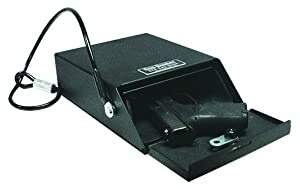 The safe is specifically designed to be one you would use to store a standard handgun. It is able to hold a full-sized 1911 weapon with an extra magazine and ammunition. It is design makes it easy for you to store in any location in your home or to take it with you while still having the security necessary to ensure that others are not able to access the safe. All locking mechanisms on the safe are rated at 1000 pounds, and the technology is built to give you an easy pairing with the safe using your smart phone app. 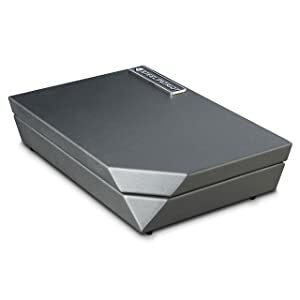 Connecting to your safe is as easy as connecting your headphones to your smart phone, and the spectacular craftsmanship that is used in developing and designing the safe gives you a smart looking box that is secure. This is truly a great option if you are looking for a technology-based safe to hold your handgun and its accessories. If you are looking for a home safe that is perfect for storing larger firearms as well as a variety of other valuables you may have, then this is the one for you. It is built to store a variety of different objects, including your laptop or long rifles. Included are three adjustable shelves which can be removed if you need additional space. The locking mechanism on the outside uses a digital keypad, which is easily programmable for you. An eight digit code is needed, and you can set more than one code if you so desire. This allows multiple users to be able to gain access to the safe, each with their own code so you can track who has had access to the safe. Four AA batteries are needed for the keypad. A yellow light comes on when batteries need to be replaced. To securely hold the door in place, there are three live locking bolts, which are made of a heavy duty steel construction. The door is built to be pry resistant, and the bolt down hardware makes it virtually impossible for someone to gain unauthorized access into the safe or to remove it. Inside, the safe is built to give you a fantastic design for storing your items. There is a key rack that helps to organize your smaller items that you would have on a chain, such as keys, and there are shelves that are included to help you to stay organized. Plus, a soft interior lining is included to protect those delicate and fragile items you may have within the safe. This safe is 36.5 inches tall on the interior and 20.5 inches wide, giving you plenty of space to store just about anything. Plus, it uses a heavy duty steel to help secure the exterior of the safe and prevent unauthorized access. It is built to withstand drilling, pounding, or prying. If you are looking for the perfect single handgun safe at a price that you can afford, this is really the choice for you. It is specifically designed to give you easy access while taking up a small amount of room, and this is why it is ideal for those who are looking for a perfect gun safe to have next to their bed or on their nightstand. This safe uses a biometric fingerprint scanner to be able to open the safe, ensuring that only you and those you have designated to have access to the safe are able to get the firearm out of it. In fact, it can hold up to 20 different fingerprints ensuring that family members and close associates who need access to the gun are able to retrieve it in an emergency. This makes it perfect for a bedroom or even for a business. Included with the safe is a scanner that contains a green LED light and the interior is illuminated with a white LED floodlight. An electronic alarm is also included, letting you know if the safe has been opened. However, you are able to shut off this alarm if you so desire. Included in the interior is a dense foam cavity with vertical slits which are built to accommodate different sizes of handguns, but only one will fit at any time. This makes it so that the grip is exposed when the door is opened, making it easy for you to grab the firearm. The safe is built of 18 gauge steel, giving it a heavy duty construction that will keep it secure and safe. The hardware for mounting is included. It weighs approximately 7 pounds, and is exterior reaches to 13 inches at its largest point, 8.5 inches on the interior. 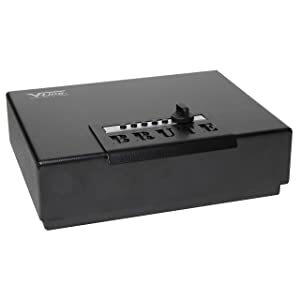 The absolute perfect choice for any person looking for a safe they can have secured next to their bed or under the counter of their business, giving quick access. Truly a winner! Technology is invading every part of our lives, and that isn’t necessarily a bad thing. It helps to make life a lot more simplified and secure, and this is where this intelligently designed safe could be a great option for you. Using radio-frequency identification and biometric technology, you can now have the perfect gun safe to store your handgun. With a beautiful and sleek design, you can put this safe on your nightstand, and a closet, or on a bookshelf and feel secure that no one will be gaining access to it. Plus, it comes in a fantastic look, giving you seven different color options, including carbon black, arctic white, and several variations in between. There are two different models of the Gun Box 2.0, which give you different features to accommodate your needs. Both styles come with a hydraulic opening, ensuring that the box remains open when you have unlocked it, and there are two USB ports that assist you in charging it. An audible alarm is included whenever the box is moved or open, letting you know if someone is trying to gain access into your safe. Plus, the SafeTech application is easily downloaded onto your iOS or Android phone to enable you to gain access into the box or to let you know if someone else is trying to gain access. Your phone can be set up to let you know anytime the safe is opened, ensuring you are notified right away. The Best & Smartest Gun Safe! Inside the box is an interior LED light which makes it easier to view once opened, and a rubber mat is included as well. The exterior is a heavy duty cast-iron aluminum, providing a great deal of protection. It weighs about 7.2 pounds, making it easy to move if you so desire, and its dimensions are 8.75” x 7.5”, giving you plenty of room to store virtually any style of handgun. This is a fantastically designed safe, which is so beautifully designed that you can put it about anywhere without it being an eyesore. Plus, you get all of the great security advancements technology has to offer to ensure that your firearms are kept safe. This is a heavy duty safe, which is ideal for those who are looking for the perfect safe that provides an unbelievable level of protection. This V-Line product clearly lives up to its name, as it is built to handle any brute attempt to get it open. Plus, it is resistant to some of the other methods that people would use to break into a safe. It is designed to withstand drilling and pounding, making it one of the best safes you can find to protect your handguns. You will love the fact that you can store two or three handguns in here with ease, plus other valuables. There is not a significant amount of space here, but enough for you to be able to keep the most important items secure. The locking faceplate is surrounded by a 12gauge steel handle, which prevents anyone from being able to pry the walk loose. It has a five button system, allowing you to program the lock to the code that you can remember easily. This is a fantastically designed box, which looks great and gives you the ability to store it in a location where you can be sure it’s not going to be taken. Plus, you can simply put it in a closet or other secret location without locking it in place and still have the security to know that no one is going to be opening this box up. 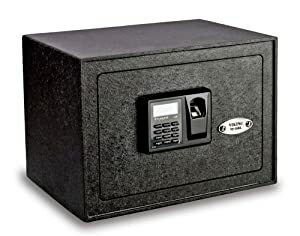 V-Line Brute Heavy Duty Safe is truly a great option for any person who is looking for a safe to store a couple of handguns, ammunition and their magazines. This is like a mini tank. If you are a person who frequently takes your firearm with you, whether it is in your truck, car, motorcycle, or even in your backpack, and you want to be sure that you are securing your firearm, this gun safe is the perfect option for you. You will even find that you can easily use it at home and still get an amazing amount of security. 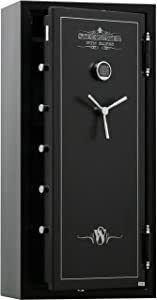 This safe uses a 16gauge powder coated steel that provides incredible strength to keep people from being able to bend or break the safe to get it open. Plus, a strong security cable is included that allows you to lock the safe through your seat or other permanent part of your vehicle to make it impossible for someone to remove the safe from your vehicle. You are able to mount this safe either vertically or horizontally. Inside of the safe is a foam lined interior, which protects your firearm from the jostling it may take as you transported from one location to another. In fact, this safe is so well designed that it even meets the TSA requirements for transporting of a firearm. The locking mechanism uses a standard key, as to are provided with the safe. This provides the kind of security you need to feel confident about your safe, while also giving you an easy means to be able to gain access to your own firearm. If you are a person who has a concealed carry permit and is looking for the right kind of safe to transport your firearm while you are traveling, there is really no better option. You will love the security that it provides, the durability of the safe, and its ease-of-use. This is the kind of option that will give you a lot of peace of mind that your firearm is not going to be stolen should you have to step out of your vehicle for a few hours while your firearm is left inside. This has long been considered the very best safe to hide under your bed. It starts with the fact that it is a big safe, reaching his deepest 28 inches, nearly double what you would find with most other standard competitors’ options. There is no doubt that this is a heavy safe, weighing as much as 140 pounds without your firearms or other important items in it, but it is the rolled galvanized steel that gives you the peace of mind to know that this safe is protecting your firearms from someone breaking into it. It is built with 11 gauge steel, ensuring that it is not going to be broken into by use of brute force. The locking mechanism is a digital, programmable, nation lock with the addition of a key backup. You can set your own code to enter into the safe, and your code can be anywhere from 3 to 8 digits. This makes sure that no one is guessing knowing that there are certain numbers of digits to your code. This adds literally millions of different combinations that could be employed by you. In addition to having a great design that keeps your items secure, you will love the look of this safe as well. It is well-designed, and is galvanized to give it a good look as well. The inside is carpeted to protect your items, and there is literally a lot of space here for you to be able to organize and store your items. In fact, when you flip the lid back over, you can be sure that your items that you have placed on the top will be held securely in place. If you are looking for a heavy duty safe, that gives you a lot of storage room and fits perfectly under your bed, then this is a great place to start. You will be extremely satisfied with the security that it provides as well as its great look. If you are looking for a gun cabinet that enables you to be able to store several guns in one location, then this is the cabinet you want to start looking at. Designed to hold up to 14 shotguns or standard rifles, you will love how much space it provides well still giving you an incredible amount of security. Three adjustable removable shelves are included, and you will likely find that you could still store 10 or 12 rifles and still have space to be able to use the shelving. This gives you the ability to then store other equipment you need to take with you when you head out to the range or to go out hunting, including binoculars, magazines, and ammunition. The cabinet is fire resistant for up to 30 minutes, and meets the California firearm safety device standards, some of the most stringent in the country. It has a three-point locking system, using ½ inch diameter steel to lock the door in place. The keycode uses a double bitted system to lock the mechanism in place. You will love that this cabinet is easy to put together, providing you with all of the necessary equipment to be able to build your cabinet and attach it securely. You will find that even if you aren’t a person who is particularly handy with tools, you will have no difficulty in getting this cabinet together. All the hardware is provided to lock it to a floor or wall. You can even purchase a motion LED light that easily mounts inside the cabinet. The cabinet has a sharp looking black exterior, with the door coming in a black with gray pieces attached to add a different style to it. Really a sharp look, and gives you all of the functionality you could need for a person who has purchased several firearms. Purchasing a safe for your firearms is obviously an important decision if you don’t want to take any risks with. The last thing you want is someone walking off with your safe or easily breaking into it, however, you may not have a huge budget to be able to afford to get a premium safe. This is why you will enjoy this option which gives you what you need insecurity at a price you can afford. This safe not only gives you peace of mind to know that your firearms are secure, but also gives you easy access through use of a fingerprint biometric scanner. This makes it so that you can gain access into the safe in a matter of a couple of seconds, allowing you to quickly get your firearm should you need it in an instant. 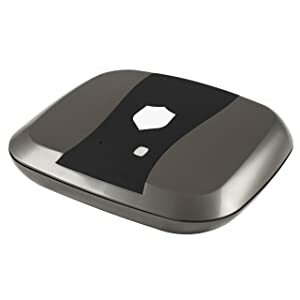 In addition, the scanner allows you to store up to 32 different fingerprint imprints. This makes it ideal should you wish to use this safe at your business, where you need several people to be able to gain access to receipts, cash, or even the firearm if necessary. Besides the fingerprint display, there is also a digital keypad. This allows you to program a 4 to 8 digit code into the memory that will give you an additional way to be able to access the safe. This makes it so that if someone does not have a fingerprint stored in memory, they could still gain access if you need them to. When the safe door is closed, a warning sound indicates that the safe is securely locked in place. This lets you know that your safe is securely locked. You also can get a warning should someone open the safe, as a beeping sound will alarm you should it be accessed. This feature could be turned on or off to fit your needs. There is plenty of storage space in here as well. A shelf allows you to organize your materials, including several handguns if you need to store them in here. The safe is built of a heavy duty metal, with two ½ inch diameter steel bars that lock the door in place. The hinges on the interior, making it pry proof and it is impact resistant. Maybe you are just looking for a personal handgun safe that comes in an affordable price, then this may be exactly what you’re looking for. This is a five button digital code that allows you to have almost 1100 different combinations to create for your passcode. This makes it so you can be sure that your items are safe. The hinges are built with a spring assisted mechanism that causes the door to pop open after you have entered the right common nation to unlock the door. The door opens vertically, allowing you to easily be able to store your items. Plus, the design is made so that you could easily fit this on a shelf or even in the back corner on the floor in your closet or under a tool shelf. 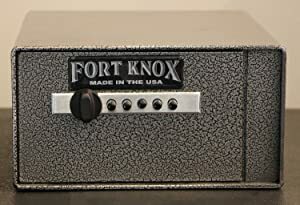 The safe is constructed of durable 10gauge steel, which is strong enough to be able to withstand most types of impact. Plus, it is built to be pry resistant. However, this does not mean that it is impenetrable. If a person had the right time and the proper tools, they would likely be able to get the safe open. Your ability to secure it in a location that is concealed makes it a much more viable option. There is a mounting mechanism that comes with this safe, allowing you to be able to secure it to the floor, a shelf, or even underneath the counter. This will make it more difficult to be able to discover, and enables you to be able to more securely fasten the safe so that it is not as easy to break into or to take. One feature that makes this a good option is that there is no noise that is made when you are opening the safe, not even a clanging sound when the bolts unlock. This will enable you to be able to open the safe without having to worry about someone being alerted that you have unlocked the safe to remove your firearm. There is no need for a power supply. The digital code is placed with mechanical buttons, meaning you never have to worry about being denied access to your safe because of an issue related to a loss of power. This is a safe that is constructed of and all steel exterior. This not only helps to make it fireproof, but waterproof as well, and is why it is becoming one of the more popular safes for people to buy. This is a well constructed safe pricing $500 that uses a variety of materials to help to make it fire retardant. This starts with the use of concrete, which acts as a thermal transfer conduit to help reduce heat within the safe. Plus, the plastic is treated with a resin to avoid melting. The fantastic design is not only resistant to excessive heat caused by fires, but is also a waterproof enclosure. Of course, reducing the risk of your items burning is only a small piece of why a person would want to safe. What you will love is that this is a fantastically designed combination safe. Six steel bars that are 20 mm in diameter are used to lock the door in place once you have closed and sealed it. This makes it an extremely difficult safe to try to open without knowing the combination. While the hinges on the outside, this safe is built to be pry resistant, and can handle over 1000 pounds of impact and still remain locked in place. Of course, because of the materials that are used this is a safe that has some weight to it. It weighs about 125 pounds, but provides you with 19.6 inches in height and 14.8 inches in width, giving you a lot of storage space. Included is an adjustable shelf as well as a sliding drawer. There are pegs for you to attach your keys or other small items, and of been inside the door to add additional storage space. Having a gun cabinet that provides you with an incredible amount of security is important, especially when you have rifles that you want to keep secure. You not only want to save that makes it virtually impossible for a thief to attempt to access it, when you are able to get additional protections it makes your investment that much better. This is why you will love this gun cabinet. It starts with the fact that this long gun cabinet gives you 45 minutes of protection should a fire occur. Most fires are put out within 15 minutes of the fire department arriving, which should give you plenty of time. This will not only help to keep your rifles safe, but also protect any other valuables that you may have stored within the gun cabinet. This unit is built with ¼ inch steel reinforced bolt that ensures that the door is locked securely in place when close and armed. The outer shell is made with a metal that is eight times stronger than most gun cabinets, making it drill resistant because of the hard plate. In fact, this safety is built to be as impenetrable as possible. It is pry resistant as well as drill resistant, and can handle heavy impacts. The interior is upholstered, making sure that your materials are kept secure and redacted. This will also prevent scratching of the inside of your save as well as any damage that may occur to your items. The locking mechanism uses an electronic digital lock that provides a double-sided bypass key. You are able to program the code used in the gun cabinet and the display has an LED light to help make it visible when using. The cabinet is 59 inches in height and 28 inches in width, allowing you to store anywhere from 12 to 14 long guns, way more than most people would have need for. This makes it ideal for a person who is a serious gun enthusiast and enjoys owning a number of weapons. Plus, there are adjustable shelves inside that allow you to be able to expand for more guns to be stored or two organize your ammunition and magazines. The door also has a number of compartments and pouches to store items. 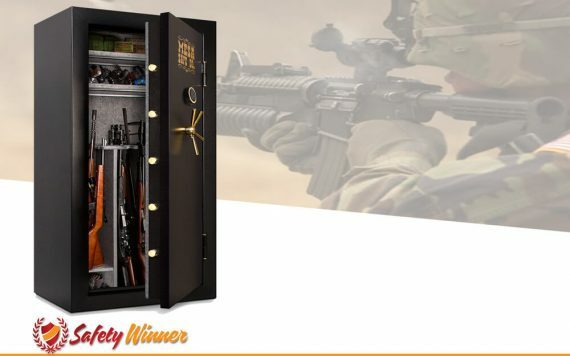 If you need a safe that is able to store dozens of weapons, this is the option for you. This is a much larger size safe, allowing you to store anywhere from 36 to 40 long guns, more than enough space for most. In addition, the interior side of the door is designed so that you can attach handguns, scopes, magazines, and other accessories to helpmaximize the amount of weapons you are able to store. Plus, there are shelves in the upper part of the safe that enable you to put ammunition and other accessories to help keep you better organized. You like the fact that the racks that are provided for storing your weapons make it easy for you to be able to access to weapons as needed. Plus, handguns are held securely in place using Velcro attachments that leave the handle easily accessible for you to grab quickly and easily. Besides being a secure safe, this is one that is fire retardant as well. It can handle up to 1400° for 30 minutes period of time without any of your guns or other important items getting damaged. Inside the walls of the safe is a fireproof strip that helps to prevent increased temperature from occurring inside the unit. Stack On Gun Safe Woodland Gun Safes Series - Learn more about Stack-On Gun Safes Series! The exterior is built of a heavy duty metal that is both punch and drill resistant. While both hinges are on the exterior, this is a pry resistant safe because of the deadbolt locks that secure the door in place when activated. A digital lock is easy to program and punch in the code to open your safe in a matter of a few seconds. For any person who has a large number of weapons that they need to keep secure, this is truly the best option you will find. You will enjoy the many security features that it offers to protect your weapons and the look is sensational as well. This is truly a beautiful safe that would look fantastic mounted in your home. When money is of little concern to you, this is a safe that you should consider. Not only does it look fantastic, but this is a tough unit that is built to give you the maximum protection you need for your firearms. Built with 1 ½ inch thick walls, the safe is fire resistant up to 1750° for one hour, plenty of time for any blaze to be put out before damage can be caused to your personal items. You also love the fact that this safe can take a beating. Not only is it created to be pry resistant, by providing four bolts that securely hold the door in place, but the steel construction ensures that it is both drill and impact resistant. In fact, you could drop this safe from a two-story building and it would not be damaged at all. It is truly a remarkably constructed unit. While the outside is fantastic, you will love the interior is well. You were given a great deal of flexibility on how you want the shelving constructed, as you can create space to hold up to 32 different rifles, or divvy up the space so that rifles, handguns, and several other accessories can be stored. There is plenty of room in here depending upon what you want to keep secured. The locking system uses a digital punch key programmable code. This allows you to program in the code, and the outside has a decorative spoke handle to open the door. Inside the safe is an internal power strip. This is perfect for those who wish to add a dehumidifier or light inside the safe and there is a USB port as well. It’s truly amazing all of the design features that have been included in the safe, and you will find it to be the perfect secure option for your home or business. With 14.4 ft.³ of space, this is simply all you will ever need to protect your property and firearms. It would be a lie to say that we do not expect everything we buy to be good quality. If you pay a lot for an item, you would expect it to last longer and even have more features than the subsequent cheaper items or there would be no use for spending the excess amount of cash. Here I have picked a few features that I think will make a huge difference to your storage of valuables and I believe that these features will also provide you with a lot of value. The quality of steel that a safe is constructed with will play a huge part in the type of protection that it offers. 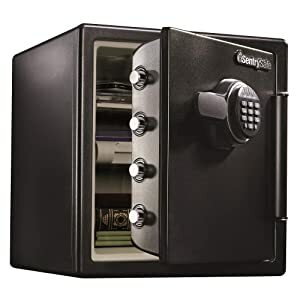 Generally 12 to 18 gauge steel safes are recommended as they have proven to be resistant against most equipment that is commonly used by intruders. The benefit you will receive from this quality is value. The safe will be able to withstand prying for longer and even withstand all common hand tools. Many of these steel designs are also capable of withstanding heat and water as well. Moreover, if your gun safe is not durable, it will be the same as storing your items in a wooden box. It is extremely important to take into account the type of materials that have been used as they will immediately add quality in case you wish to own the best gun safe. It would be extremely good for you if you can do some research on the type of equipment that is used by intruders when they try and break open safes. Once you have some knowledge about the topic, you will be able to make a better choice on your gun safe and even have some added security features installed. Make sure that the hinges are on the inside of the safe when purchasing as this is one of the first places that intruders target. It is important to note that the more security features you want, the more expensive the safe will be. The security features may include fire resistant metal or even a waterproof sealer. If you live in an area with a lot of home fires or other problems, you may need to look into adding these features. Gun safes are versatile and they come in different types of lock. If you are paying a lot of money for your safe, you would expect that the safe has a strong, but still easy to open locking mechanism. You will have the opportunity of choosing between the biometric, electronic & mechanical locking features. The biometric locking feature is much more expensive, but it does offer a lot of quality. They will obviously increase the price of the gun safe. Biometric safes are proven to be much more reliable than the standard mechanical safe and this must be taken into consideration when you buy a gun safe. 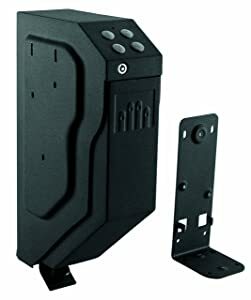 I highly recommend biometric locks for people with extremely sensitive information and firearms as they will ensure that intruders take more time to try and pry open your gun safe and you will have the benefit of quick access. The size of the safe is also to be considered because more often than not, customers get a smaller safe size than they really need. On the other hand, you will need to get a gun safe that is light to carry and easy to access or one to keep the guns away for long periods of time. That’s where the size factor comes in. Long gun safes are generally more expensive and will also cost you more maintenance in the long run. A smaller gun safe will do just fine if you only plan on protecting a small firearm and a few valuable items. Hunters will be looking for the more expensive and bigger safes. Portability may not be important to everyone, but for people looking to buy something they could constantly travel with, portability will make a huge difference. Cheaper safes tend to be lighter and more portable, meaning that if you are looking for the a portable gun safe, you might be able to get the perfect one at your affordable price. 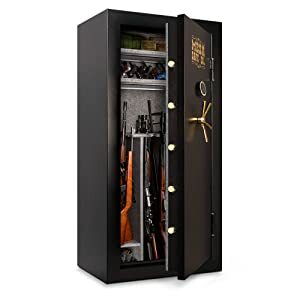 Obviously, bigger gun safes weigh much more than smaller gun safes but there are different manufacturers and some may offer a gun safe that is heavier than it looks or should be. You may need a heavy gun safe due to its resistance to prying or fire. On the other hand, you have to seek for the light-weight gun safes if you only a smaller handgun/pistol or you prefer the portability. The mounting features are extremely important and this will vary depending on the safe that you choose to buy. The smaller and portable safes will have a strong wire that it mounts with and the larger safes will use deadbolts to keep the safe in place and secure. I highly recommend the deadbolts as they will provide added security. When you have a large budget, I like to recommend you to buy a fire-resistant safe. These features are great and they are accompanied by a huge warranty most of the time. This will give you a lot of value and you will never lose your belongings to a household fire that the neighbor might have started. You can be fooled by marketing when you do not understand what you are looking for. These features will help you to make a great choice that will ensure that you have the perfect gun safe with value for your money. While I feel that I have covered most of the issues about gun safes, there are still a few concerns that I need to deal with and some people still do not have answers. Here I like to single out these questions and answer them directly to ensure that your next gun safe buying experience is positive. 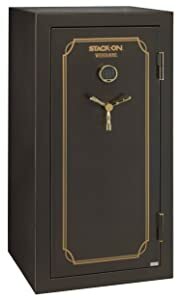 #1 Should I Buy a Portable or Large Gun Safe? This will all come down to personal preference. I always recommend making sure that your gun safe adheres to the Justice regulations for safes and that you first buy a big safe that can be mounted to keep your firearm secure if you do not need it. You can choose a diversion safe to hide your smaller items. #2 Should I Choose a Floor or Wall Mounted Gun Safe for My Home? A simple question that occurs quite often and sometimes people just choose the first one that is recommended. I believe that you should analyze your situation as most safe can be mounted on walls, but they are not specifically designed for this purpose. Heavier safes should obviously be mounted on the ground to ensure that they cannot fall or be broken out of the wall. If you need a safe that must go into the wall, you will be looking at something smaller and with a few features that allow you to easily conceal the safe. Wall safes are a little more expensive, but the fact that you will be able to conceal them with ease will be extremely beneficial for someone with a lot of guests or someone that needs a safe for the office. Restaurateurs and people working with a lot of cash should take note of a drop safe to ensure that you can quickly dump the cash or documents. #3 What Locking Mechanism Will Offer Me the Fastest Access? If you happen to live in a dangerous area that is constantly plagued by break-ins, I definitely recommend you to invest in a biometric safe. Most of these electronically powered safes have a lot of great features like LED lights and the door will open in a matter of seconds. 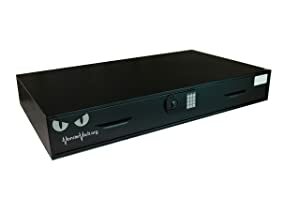 You may even choose one of the desk safes that I have discussed as they will also open much faster than average safes because they have the added benefit of gravity that will help give you faster access. If you are unwilling to make that investment, I would secondly recommend an electronic keypad locking mechanism or a push-button simplex locking system. I believe that the price alone should be enough to persuade you to invest in one of these push-button locking safes, but you can always be sure that the quality of the safe is of the highest standards and you will have a few added benefits like the ability to resist fire and water. Should you look after safe, you can rest assured that the safe will look after you in extreme times of need. #4 Why are the Hinges Such an Important feature of the Safe? When the hinges are on the inside, it will make it harder for someone to try and pry open the safe and if you manage to buy a safe with a reinforced steel door, you will notice that it is heavier and more resistant to standard break-in tools. I always recommend that buyers look at the hinges of the safe that they intend to purchase. The reason for this is because the hinges could possibly be a weakness on a safe and if the hinges are on the outside of the safe, the safe might be more vulnerable and someone could possibly pry open the safe. #5 What is the Real Difference When it Comes to Prices? Aside from getting their name out there, you will find that they do sometimes cut on the features that have been added. The reason I firmly support the SentrySafe brand is that they do not let price stand in the way of providing a high quality safe for consumers. Almost all of their safes offers fire resistant features and this does make the safe more expensive to produce, but they still find a way of giving it to you at the lowest possible price. One place that I have noticed brands take action to reduce cost is when it comes to the warranty. For a great lifetime warranty, you will pay more and then you will have the benefit of knowing that you are protected. Many brands give lifelong warranties with their most expensive safes. The reason is not that they are made from better materials, but because you are already paying for the replacement when you first purchase the safe. Once again this makes us wonder how many opportunities people pass up on because they feel that the safe is too cheap and must be made from cheaper materials. Sometimes it is worth risking and then being satisfied in the end. #6 Are Cheaper Safes Made From Weaker Material to Cover the Cost? While the answer to this question is very straightforward, many people will want to know why they are cheaper than others. The answer is no; they are not made from weaker or even cheaper materials. The reason being is that all safes should adhere to a basic standard and most safes try to sanctify by the California Department of Justice. Having been accredited by them will increase sales and even the general reputation of the brand. The second reason is that their reputation is on the line and one bad safe may destroy the reputation of all the other more expensive safes that have been created by the company. Therefore, some companies choose to take a smaller profit margin to help them improve sales and even get their name out there. This is a huge advantage that consumers do not take advantage of and you may be missing out on spectacular bargains. I believe that now you have the knowledge to get the best safe for your needs. 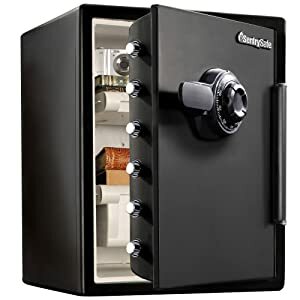 All of these safes provide a lot of quality at really affordable prices and I believe that they will be a lifelong investment for you to keep your firearms and valuable safe. And also I would like to encourage you to ask me any question in the comment section and I will be happy to help you find the perfect safe for your needs.